Well, we are well into our opening week at the ranch, but before we get into all the exciting things happening here and now, we’ll give you a sneak peak into just a small (as in teensy, weensy, miniscule) amount of the pre-season work that goes on around here. 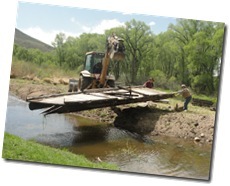 It takes a LOT of work and a LOT of folks to get this place back in tip-top shape before all of our guests arrive, but luckily we always have excellent staff (and incredible ranch family friends) to handle such a task and this year was no exception! 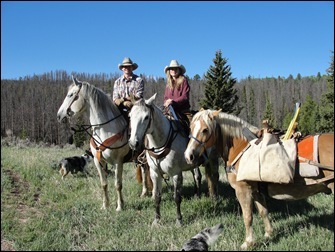 For those who hadn’t heard, Chad and Tammy—who met on the ranch and got married in 2005—moved back with their 3 buckaroos at the end of January and are now living across the river in the Ponderosa house. 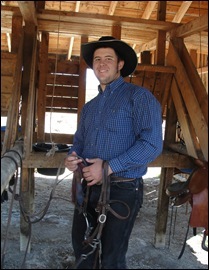 Chad is working for the local Sheriff’s Department and both will be working part-time for the ranch. 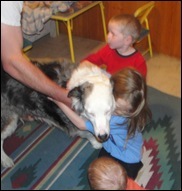 They are so excited to be “home” and when you make it out here, you’ll be sure to meet Abilene, Coyer and Jamos. 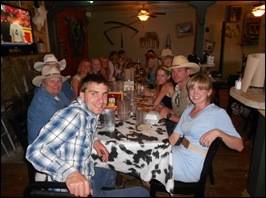 They are ready—and well qualified!-- to help show all of the children that come how to be real ranch kids! Lauren arrived as the first official staff member mid-April. 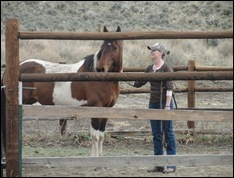 Many of you will remember her from her wrangler position last year. Well this year she’ll be heading up the barn! And she came early to start working with some of our younger horses who need some one-on-one time as we get them ready to join their pasture-mates on the trail. Wyatt, Doc, Trio, Chance and Copper are all looking great and will hopefully be out on the trails by the end of the summer with wranglers! 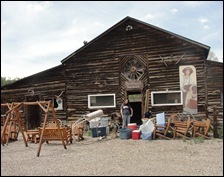 Many of you have watched Wyatt, Doc and Chance grow up here! 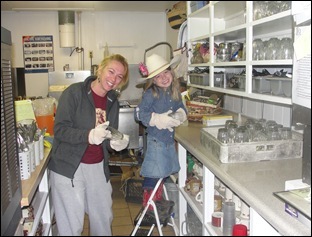 Abilene helping our new lodge hostess, Lisa, get things in the kitchen in order. Lisa is from Miami and was recommended to us through Sue and Dale and we were quick to see why—you’re gonna love her! 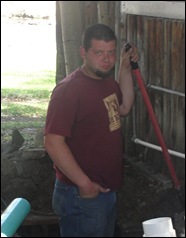 Then there are lots (I mean LOTS) of holes to be dug (don’t let Pete’s face fool you—he lives for this….) and upgrades to be made. 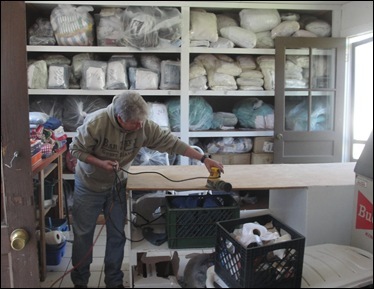 Cheri gives the laundry room table a makeover, while two of our wranglers—Mike, who returns from last year and “Q” who will be a new kid’s wrangler—work on cleaning all of the ranch saddles. That’s a big job, too! 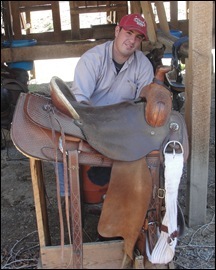 Erica—who returns to staff for her second year after several years of being a guest--works on cleaning out the winter storage from the rec barn and Shane, our farrier, gets to work putting slick new shoes on all of the horses. But wait! Who’s that helping Eddie in the kitchen? Spider-man? Whoa—we didn’t know we had a superhero among us. 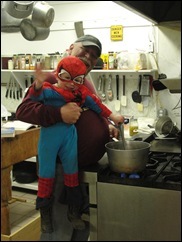 Of course, it doesn’t surprise us that someone as high profile as Spiderman would be found at the Bar Lazy J….. Chef Eddie’s cooking brings in the very best! As many of you know, “worming day” is a big day around here and although typically unexciting (besides the fact that we are bringing all of the horses back from winter pasture—THAT part is very exciting! ), this year things were a tad more “eventful”….in a not all too good way. 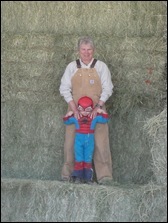 Cheri, Tammy and Coyer--uh I mean Spiderman—were set up at the dry lot waiting for the first load of horses to come in. As we pull them off, we give them the de-wormer and then turn them out. Well here you can see the first load pulling in and little did we know, minutes later that first horse off would wheel her hind end and kick Cheri in the side of her leg just below her knee as she was walking by her. 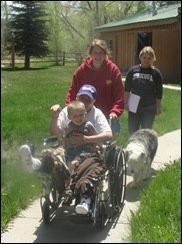 Coyer held Cheri’s hand while the rest of the staff took care to load her in the ranch van where she could lay flat and took her to the Emergency Room. She was scheduled for surgery the next day to use plates and screws to repair both broken leg bones and re-attach the meniscus. It was no small deal to say the least! 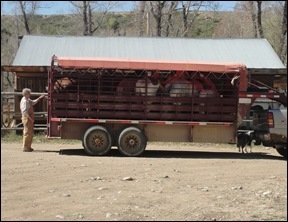 In the meantime, the remaining staff worked to get the 90 other horses hauled back and de-wormed and our luck was still running bad. 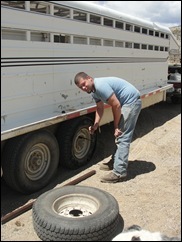 About midway, the trailer blew a tire (full of horses! ), but Chad got everyone in safe and sound. 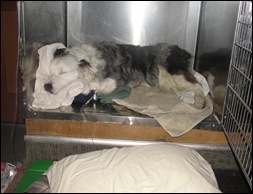 We thought we were out of the woods when we finished up for the day, but that night Chad and Tammy rushed their Australian Shepherd, “Remington”, to the vet at 1 am when he started showing neurological distress and symptoms of poisoning. In all of the craze of the day, no one had noticed Remi licking up tiny bits of the wormer that had been dropped by horses or off of the worming tubes. 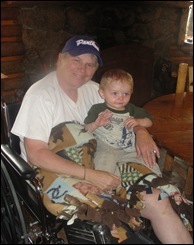 For three days he had constant seizures and was completely comatose requiring 24 hour care, but all were relieved when he miraculously made a huge turn around and was able to come home much quicker than we expected. It was quite the homecoming! 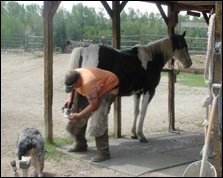 So now we are making folks aware of keeping your dogs far away when de-worming your horses! Especially if you have shepherd or collie breeds—they are genetically more susceptible to the brain damage—so take note and tell others! As you can see, Cheri can’t be kept down for long! 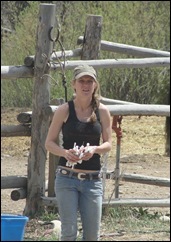 By the following week, she was back over at the ranch greeting the new staff and giving instructions where needed. She does her own physical therapy and is already coming along with great motion in the knee—the doctors don’t know who they’re dealing with! And although there are the occasional mishaps in all walks of life, around here, a beautiful moment is always just behind it. 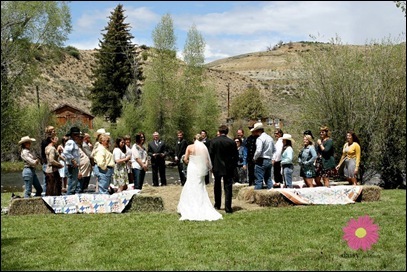 The weekend before our opening, two of our staff from last year were married on the ranch lawn by the river. Kalyn returns to us on the crew and Alex will once again be helping Chef Eddie in the kitchen and what a beautiful couple they make! 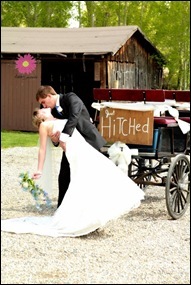 We are very happy for them and are thrilled they chose to return and be married here! 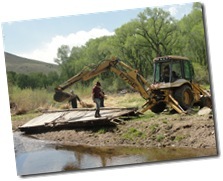 Although, all the moisture last year was great for the rivers, it made the Colorado so high that many of you witnessed our new island area was completely submersed. 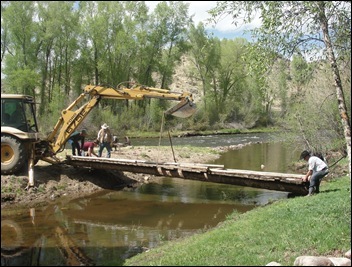 So this year we took to getting it all back together—starting with the bridge that washed away! Got it! 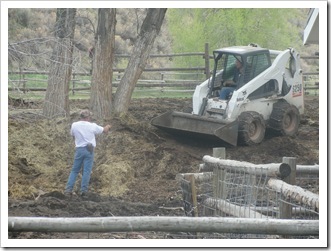 We’re excited to announce that the petting farm animals are getting a home makeover as well. 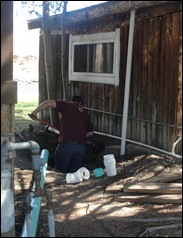 The flooding last year also affected the underground spring and the pen was too wet to access and fix. So this year there have already been huge upgrades made to keep that from happening again and the pen looks awesome! 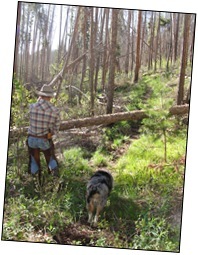 And while everyone has been working diligently at the ranch, we’ve even taken to the high country! 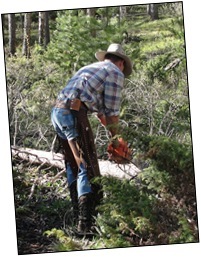 Chad and Tammy packed chainsaws and other clearing tools into the mountains to get the trails clear before the high country rides—on one trip they cleared over 100 trees! 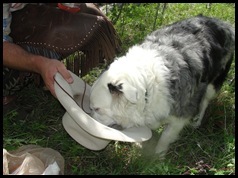 A cowboy dog watering bowl! 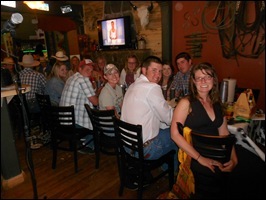 And here is everyone on the last day before our grand opening at the ranch’s staff dinner! A few of our former staff and several members of our guest family who come early to help open up were also able to join us. What a crowd we make up! 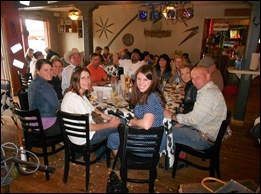 We are fortunate to once again have a top notch staff as we open up the ranch doors for the 100th year. We will be highlighting them throughout the next few weeks and adding lots of updates as we head into this memorable year—so check back in or sign up below to get an email when we post! It's Hannah Rose! 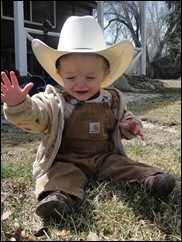 Now, I was wondering, could I stop on by to say hello to my favorite ranchers and of course, little Matt Dillon? I'm officially heading out there, and I thought it crazy not to come and say hello! Unless of course you're swamped and could do withoanathema extra dose of crazy! Hope all is well! Great write up of what's been going on! That kind of work sure makes you strong. Looking forward to August. 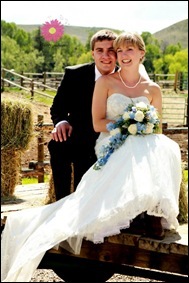 Got a co-worker working on her husband to bring the family out in 2013. Just looking at the ranch over my shoulder has made her want to be part of it.